Today, September 11, 2013 marks the 12th anniversary of 911. We remember exactly where we were and what we were doing when the power of television began streaming those awful, horrendous images. It is OUR Pearl Harbor. My parents remember Pearl Harbor in exactly the same way as we do 911. There are events that not only define our lives but define us as a nation. 911 is one of those. 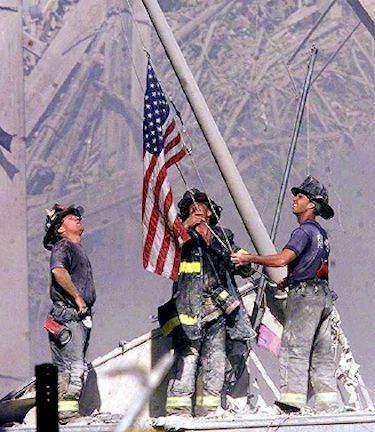 We salute and honor all of the first responders and the thousands of people who lost loved ones that day. We will never, ever forget. This site contains copyrighted material the use of which has. In accordance with Title 17 U.S.C. Section 107, the material on this site is distributed without profit to those not always been specifically authorized by the copyright owner. We are making such material available in our efforts to advance understanding of environmental, political, human rights, economic, democracy, scientific, and social justice issues, etc. We believe this constitutes a ‘fair use’ of any such copyrighted material as provided for in section 107 of the US Copyright Lawwho have expressed a prior interest in receiving the included information for research and educational purposes. For more information go to:http://www.law.cornell.edu/uscode/17/107.shtml. If you wish to use copyrighted material from this site for purposes of your own that go beyond ‘fair use’, you must obtain permission from the copyright owner.